Warning: This story contains an image that some readers may find disturbing. A German non-profit that helps rescue asylum seekers crossing the Mediterranean Sea has named a ship in honour of a Syrian boy who died in 2015. Sea-Eye, which was created after thousands of refugees drowned in the hopes of reaching Europe, has rescued more than 14,000 people since launching in 2016. At a ceremony on the Spanish island of Mallorca Sunday, Sea-Eye christened its rescue ship the Alan Kurdi, in honour of a three-year-old boy whose lifeless body was photographed on a Turkish beach. 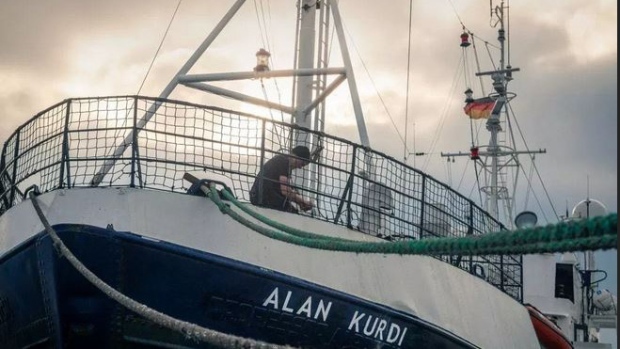 Alan drowned in September 2015 along with his brother Ghalib, mother Rehanna, and eight other people who were attempting to reach Europe by crossing the Aegean. Alan’s aunt, Tima Kurdi, had paid for their passage to Europe. She was hoping to bring the family to Canada. 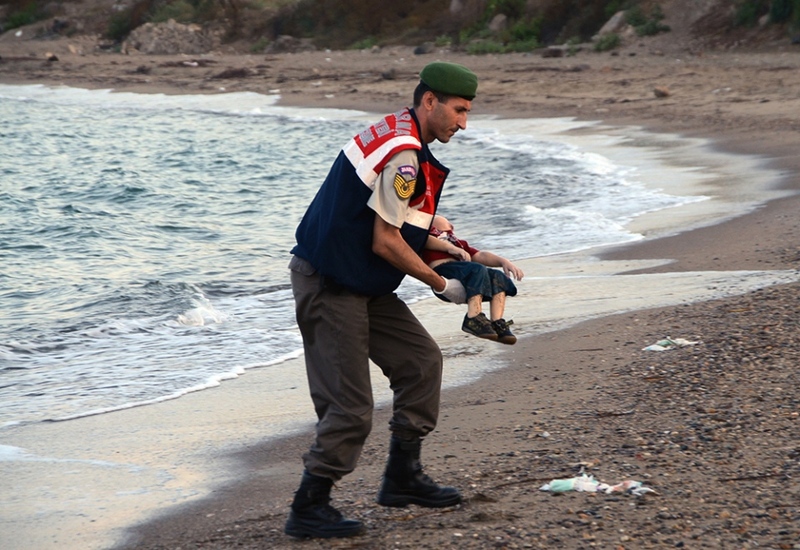 The photo of Alan caused many people the world over to take notice of the Syrian refugee crisis. The question of whether Canada was doing enough to help became a major issue in the federal election that fall. Abdullah Kurdi, the boys’ father, attended Sunday’s ceremony along with Tima Kurdi. He said before the ceremony that he was happy the ship would be named for his deceased son. Nearly two million refugees from Syria and other countries in Africa and the Middle East have crossed into Europe by sea since 2015. 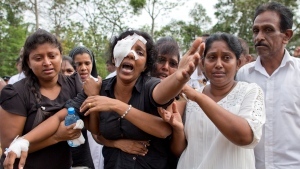 At the peak of the crisis in 2015, more than one million arrived. That fell to 139,000 in 2018. More than 17,000 asylum seekers have died or gone missing trying to reach Europe since 2014, according to the UNHCR. More than 200 people have died or gone missing so far in 2019.